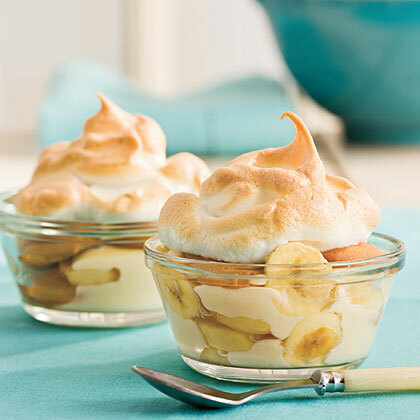 Banana desserts are a favorite of mine and this lighter recipe for Banana Pudding from Cooking Light is a dream! And, there's nothing like vanilla wafers to make me feel like a kid again. I'm a big fan of the individual servings, especially with pudding. Enjoy!